I have 3 young boys and 1 PC. I always kept my PC in my bedroom, but my boys are at the age where they want to play on NickJr.com and watch Netflix. I was fine with this until I came upstairs one day and saw that they basically destroyed my bedroom. As a result, I decided to give them my old PC and get myself a new one. My budget was limited, so I had to make some compromises and do some bargain hunting. This ended up being the end result. CPU: AMD A10-7850K - $99.99 at Micro Center: Saved $10.00 with a coupon. 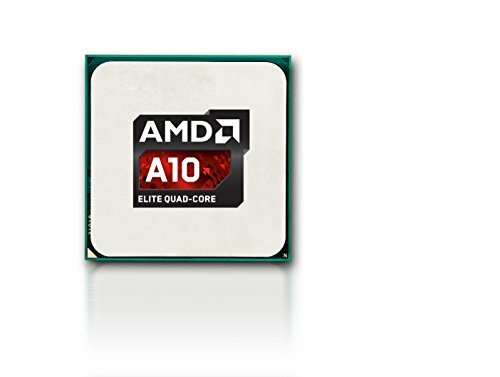 Went with an APU because I didn't want to spend the money on a dedicated GPU, and Micro Center was also offering a deal if I bundled this with a mobo. I seriously did consider doing a Athlon x4 860K with a R7 260x, but I probably would've had to pay an extra $90 - $100 between the CPU, Mobo, and GPU. The deal from Micro Center was just too good. CPU Cooler: Cooler Master TX3 - $21.99 at Micro Center: I wanted to get the Evo, but it wouldn't had fit in my case. This is a great alternative. Mobo: MSI A68HM-E33 MATX FM2+ - Free at Micro Center: Saved $40.00 when I bundled this with the processor and another $10.00 with the mail in rebate. I mostly picked this mobo because it was free. I could've gotten an A88x for $20 - $30, but I only had so much of a budget and it's hard to say no to free. 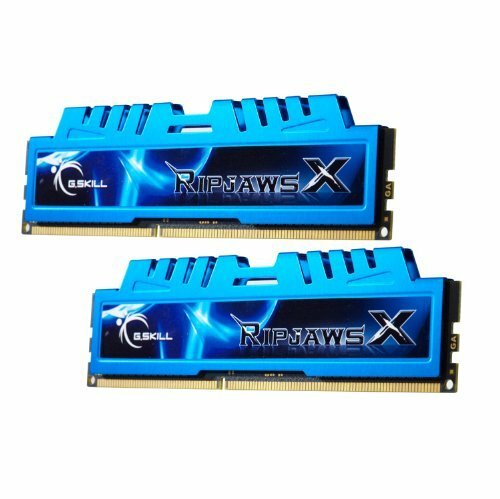 Ram: G.Skill Ripjaws X- $49.99 at Newegg: It's important to get fast memory for the APU's since it gives the processor a significant performance boost. 2133 is the fastest speed my mobo can handle. This happened to be the cheapest memory I could find at that speed. It was an added bonus that it had a CAS Latency of 9. Storage: Lite On 256GB SSD- $40.00 at Craigslist: Originally, I was planning on getting a normal 1 TB HDD drive from Micro Center for the same price. I just happened to stumbled upon a guy who was selling a brand new SSD that he received from Dell. I looked up the part information and it happened to be a Lite On SSD. I know this won't work for most people since it's so little storage space, but I don't need much since I mostly upload everything. I didn't even use a 100 GB on my old PC. 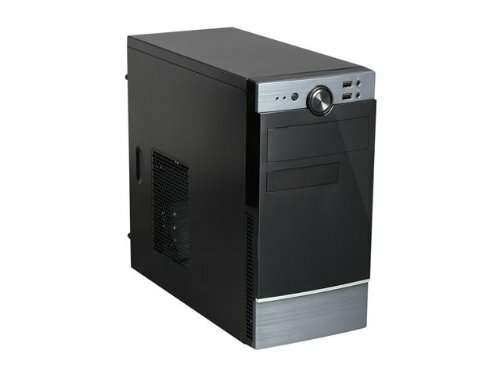 Case: Rosewill FBM-02 MATX Mini Tower- $21.99 at Newegg: Saved $8.00 with a promo code. I was tempted to get a case with a PSU included to try to save some money. Once I did the math and included the cost of the fans, I realized that I will get better quality at the same price if I bought them separately. This case came with dual fans pre-installed and it was perfect for what I needed. My only complaint is that these are 3 pin fans. PSU: Corsair 500W ATX12V- $25.00 at Newegg: Saved 10% with a promo code and another $20.00 with the mail in rebate. I wanted a 500W PSU just in case I wanted to add a GPU in the future. This will come in handy if Directx 12 delivers on what it is promising to do. If that's the case, I'm thinking something from the Radeon 300 series. If you're a non-believer, than you can go with a weaker PSU. Either way, it's a Corsair PSU for $25.00. Optical Drive: Samsung SH-224FB/BSBE- $13.00 at Newegg: Saved 35% with a promo code. It's just a DVD/CD burner with a brand name I trust. I haven't used the DVD reader on my old PC for at least a year, but we all know how Murphy's Law works. Just spent the $13.00 to save myself the headache later on. Case Fans: 80MM and 120MM- Pre-installed in case: I just put this on the part list just to show everyone that this system build does come with 2 fans pre-installed in the case. I've read a few completed builds where I wasn't sure what kind of cooling set up they had. Fan Splitter: Silverston 1 to 3 PWM Fan Splitter- $4.99 at Newegg: The price of the free mobo is that I only got 1 system fan connector. I needed at least 2 for the case fans, but I wanted an extra one just in case I wanted to mod the case and throw another one over the side vent. I got this chip for $99 at Micro Center. Can't beat this chip at that price. Definitely the go to chip for casual gaming and internet surfing. This is a great cooler if the Evo or T4 won't fit in your computer case. I got this board for free as part of a package deal with my 7850k and after a MIR from Micro Center. Just the fact that it works get it 5 stars. If I had to pay full price though, I'll probably spend the extra $10 for an A88x board. This board is only capable of light OC'ing and has limited ports/slots. Also, there is only 1 fan header, so you'll probably need a splitter. If you're a casual gamer and not planning on doing an OC, this board is more than serviceable. Great ram with good speed. Just make sure your heatsinkers won't get in the way of your CPU Cooler. My ram is basically touching my cooler. I got this case for $22 at Newegg. No one should expect quality at this price, but the case is a great value. It was exactly what I needed for my build. I got this PSU for $25 after promo code and MIR from Newegg. Great quality and a great price! Interesting build, you managed to get lots of bargains! Thanks! I had fun finding them. That is great! I can't wait to build mine!